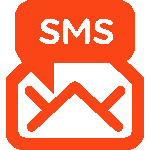 With an LMT Karte you can not only call in Latvia and abroad, use the Internet, send and receive text messages, but also enjoy various free options and paid services in Latvia. You can also use your LMT Karte abroad – call and receive calls, send and receive text messages, and use the Internet for a good daily price. Already have an LMT Karte? Congratulations! If not, but you would like to buy one, you need an LMT Karte starter kit. Remember the original PIN 1 code! You will need it to use your LMT Karte later. Your phone number is indicated on the label at the back of the kit. The balance of all LMT Karte starter kits expires in 60 days and the kits can be used for 60+60=120 days. 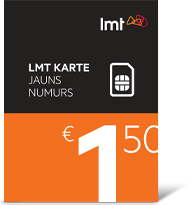 All users of LMT Karte are bound by the Fair Use Policy of LMT Services. 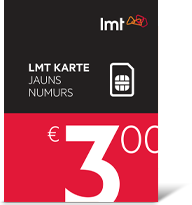 LMT Karte starter kits and renewal cards can be purchased in all LMT customer service centers and the best stores, newsstands and petrol stations, as well as at the offices of Latvijas Pasts.